Brie Larson’s Captain Marvel Makes Her ML Debut. In March of next year, Marvel will be releasing their hotly anticipated Captain Marvel film with Brie Larson in the lead role as Carol Danvers AKA Captain Marvel. The trailer is expected to be released sometime this week (possibly today). These figures were originally discovered in an Amazon listing which some clever collectors found, though I believe they are delisted now. 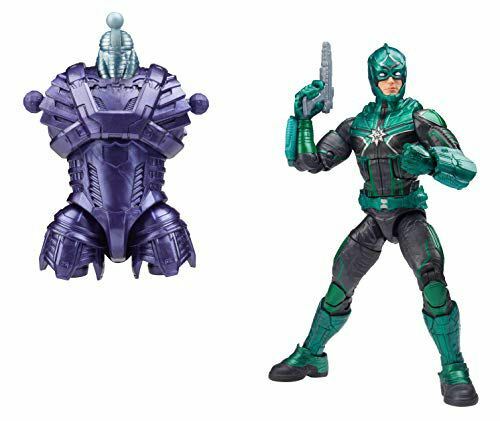 As you can see the figures that they have revealed in the wave are: MCU Captain Marvel, MCU Talos the Skrull, MCU Nick Fury, and MCU Kree Soldier/Mar-Vell. It appears that the Kree Sentry that was revealed in Mexico last month is the BAF and it’s unclear what other figures will be in this wave. I have to say that these reveals are fantastic, though I would expect Captain Marvel, Talos and Nick Fury to be in this wave. The Captain Marvel figure looks fantastic as they captured all the details from the film costume perfectly. The likeness to Brie Larson isn’t exactly the best in this screenshot but I have to say most of the figures with the face printing tech look a lot better than the product shots that get released and put on the packaging. Just look at the latest figures of Thor, Star-Lord, Captain America, Gamora, Nebula, Ant-Man and Wasp, etc they look incredible in hand. 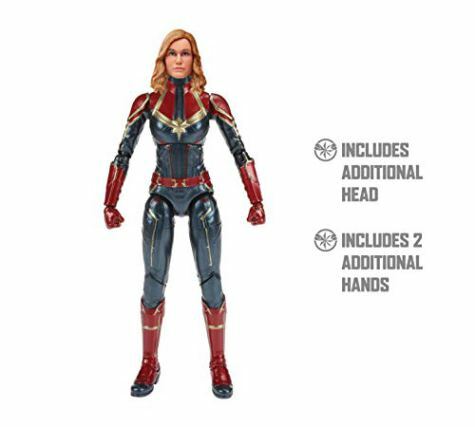 The image reveals that she’ll be coming with two alternate hands and an alternate head, we haven’t seen any photos of Captain Marvel wearing a helmet so the alternate head could be a helmeted look or a different hairstyle. I’m sure more will be revealed as we get closer to the release date. 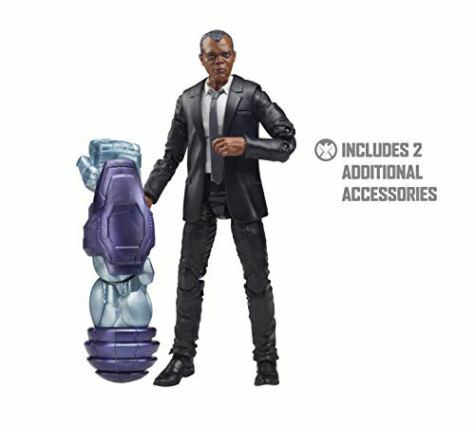 The Nick Fury looks great and I know it’ll look even better, this is the first MCU Nick Fury that has been released in a wave of figures and it looks really good. Of course, as this film is set in the 90’s Nick Fury still has two eyes. It lists that he also comes with two accessories though they haven’t been revealed yet. 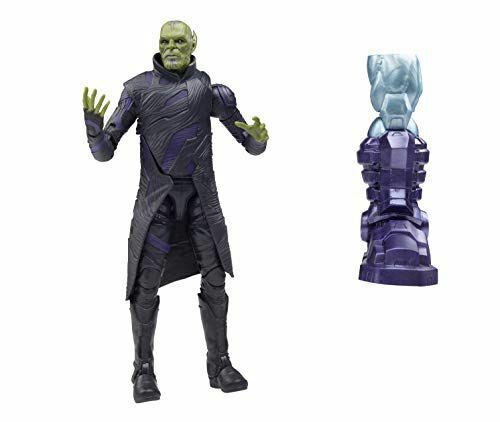 It’s unclear at this time if Talos comes with any accessories aside from the BAF piece but I have to say it looks near nigh exact to the film shots that we’ve seen from the film. Another uncertainty is the green soldier looking character is a Kree Soldier or Mar-Vell as the listing didn’t specify who they are. Though I must say I really do love the aesthetic of the figure from the costume design and the deco it looks fantastic. This wave is expected to be released sometime next year before the film’s release and I expect more details will be released in the coming months.